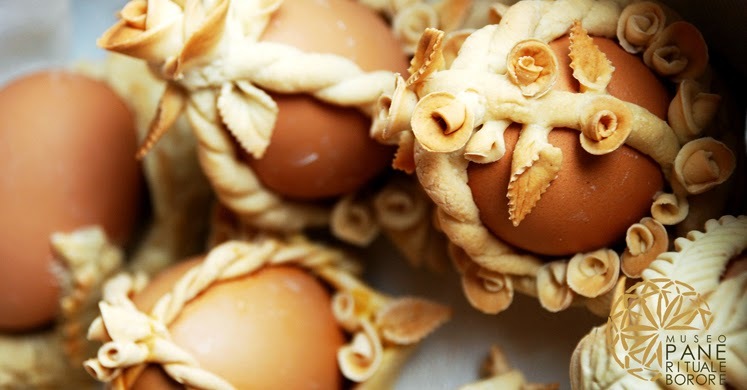 In Sardinia it is tradition to prepare a very special and elaborated Easter bread, the forms of which are manifold: crown, chick, girl, lapwing, fish, small baskets with holes in the shape of a fruit or flower. Even their names are different: ‚coccoi cun s’ou‘, ‚coccoi to pippia‘, ‚coccoi de pasca‘, ‚coccoi de ou‘ and of course many others. All of these breads are completed by embedding an egg (with the shell) in the dough and sometimes concealing it. This particular bread is considered a symbol of fertility and good luck.